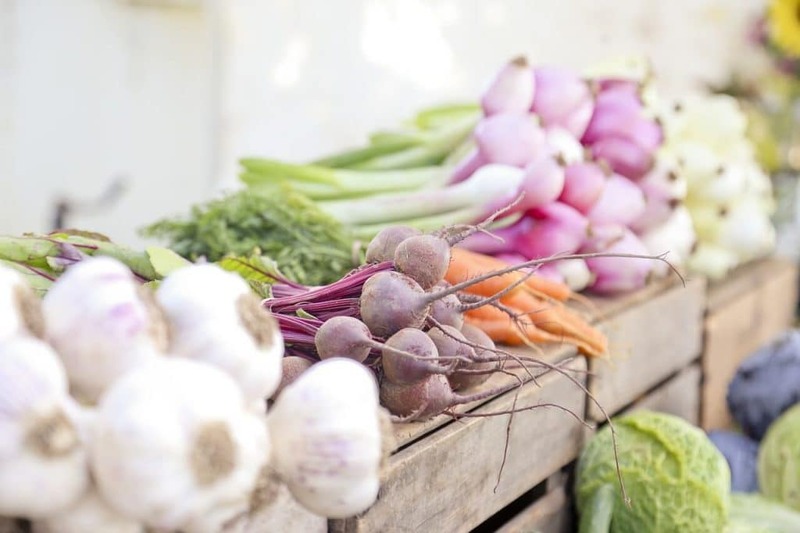 Home » AIP » What is the Autoimmune Protocol Diet (AIP)? And Can It Help You? 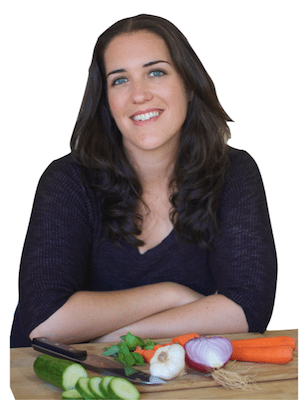 What is the Autoimmune Protocol Diet (AIP)? And Can It Help You? Switching from the standard Westernized diet to the Paleo diet has helped many with autoimmune disease to feel better and to gain health. However, there are still many that continue to feel tired, have mood swings, and have flare-ups which show up as headaches, allergies, diarrhea, constipation, bloating, flatulence, or skin issues like acne or eczema. If you have an autoimmune condition such as Hashimoto’s thyroiditis, Crohn’s Disease, Celiac Disease, Ulcerative Colitis, alopecia (hair loss), psoriasis, etc., there is a good chance that your digestive tract is sensitive to much more than what is excluded in a standard Paleo diet. The AIP or Autoimmune Protocol is a version of the Paleo diet developed by Dr. Sarah Ballantyne that is a science-based nutrition approach for reducing many of the symptoms associated with autoimmune disease. The simple basis of this diet is to remove foods that can stimulate the immune system (which can then lead to a flare-up) and to add back nutrient-dense foods that help to balance the immune system. The AIP diet is appropriate for anyone that suffers from an autoimmune disease. More common autoimmune diseases are Hashimoto’s thyroiditis (which is an autoimmune disease that attacks the thyroid gland), Sjogren’s syndrome (an autoimmune system disorder characterized by dry eyes and dry mouth), Celiac disease (an immune reaction to eating gluten), psoriasis (a condition in which skin cells build up and form scales and itchy, dry patches), and type 1 diabetes (a chronic condition in which the pancreas produces little or no insulin). Common health issues associated with autoimmune disorders are chronic fatigue syndrome, eczema, fibromyalgia, and polycystic ovary syndrome (PCOS). Therefore, the AIP diet may benefit people with these issues as well. In general, this dietary protocol is not a cure, but it does help to reduce inflammation within the body, therefore improving the symptoms typically associated with autoimmune disease. The preliminary research is definitely promising in that it shows that the AIP diet can help people go into remission and gain quality of life. Although nuts and seeds can offer a lot of nutrient-density, in sensitive individuals they can cause more problems. Many nuts and seeds are high in phytic acid, which acts an enzyme inhibitor. If a seed requires chewing before ingestion or it is ground into a flour, digestive enzyme inhibitors are released into the gut and can cause increased intestinal permeability as well as gut dysbiosis (an imbalance of good versus bad bacteria in the intestine). Digestive enzyme inhibitors also increase the production of pancreatic enzymes and increase gut permeability. Although a strict Paleo diet avoids these foods, I felt that it was important to include this category as many people simply avoid gluten instead of all grains. Pseudo-grains and legumes contain lectins, which are carbohydrate-binding proteins. Because of these binding properties, they can cause nutrient-deficiencies and have been linked to increased intestinal permeability (or a leaky gut). Lectins can be further categorized into prolamines and agglutanins, which have both been shown to stimulate an autoimmune attack. The most well-known lectin is gluten. However, since lectins are also found in pseudo-grains like quinoa and legumes like lentils or chick peas, these foods are avoided on an autoimmune protocol. It is funny how conventional wisdom has told people to avoid eggs because of the fear that egg yolks raise cholesterol levels when, in fact, the egg whites may cause a bigger problem (especially within the context of autoimmune disease). Egg whites contain lysozymes which break down cell membrane components of gram-negative bacteria and transport them across the intestinal wall. This stimulates the immune system and can cause an autoimmune attack. Therefore, while on an autoimmune protocol, eggs should be avoided. Nightshade vegetables like tomatoes, potatoes, peppers, and eggplant and fruits like Goji berries can contain toxic ingredients called glycoalkaloids. These anti-nutrients can actually cause damage to enterocytes (or the cells of the intestine) and can increase intestinal permeability and stimulate antibody production. Nightshade vegetables should therefore be avoided on the AIP diet. Fish and seafood offer a lot of the nutrients that people with autoimmune disease are typically deficient in. These include trace minerals like iodine, zinc, and selenium, healthy fats like omega-3 fatty acids, and antioxidants like vitamins A and E. It’s important to choose wild caught seafood. Eating wild-caught fatty fish like salmon and mackerel, seafood like oysters and mussels, and sea vegetables three to four times a week is recommended on the autoimmune protocol. If you’re concerned about mercury, make sure you read this first. Grass-fed meat is nutritionally superior to conventionally-raised meat. It contains more fat-soluble vitamins like vitamins A,D,E, and K and has a better ratio of omega-3 fatty acids to omega-6 fatty acids. Most conventionally-raised meat has a much high proportion of omega-6 fatty acids, which leads to more inflammation. It is important to eat a variety of different pasture-raised meats in order to benefit from different nutrients found in different animals. Examples are beef, lamb, and rabbit. Learn about where to find pasture raised meat here. Offal include the parts of the animal that are not muscle. This category includes foods like the liver, kidney, heart, bone marrow, and brains. Although these types of foods may not be too appealing, they can offer more nutrient-density than the muscle of the animal. One great example is liver. Eating liver one to two times per week can be more effective at increasing low iron stores than taking an iron supplement. Making sure you get it from pasture raised and grass fed sources is important for offal as well. A huge part of the autoimmune protocol is to include eight to ten servings of a variety of vegetables and two to three servings of a variety of fruits daily. The phytochemicals found in foods like broccoli, brussel sprouts, spinach, kale, beets, apples, peaches, and watermelon help to fight free radicals within the body, increase the detoxification potential of the liver, and help to balance the immune system. Fats from olive oil, coconut oil, avocado oil and more are great to include in an autoimmune protocol as they help to balance the immune system and decrease inflammation. It can be overwhelming to cut out so many foods all at once. Therefore, try cutting out one food group every week until you reach complete compliance with the autoimmune protocol. Vary your diet by including new or different foods every week. Maybe try to include minced liver into pasture-raised minced meat in order to boost iron levels (if they are low). Don’t have time? Spend some time batch cooking and then freezing many of your meals so that you do not have to spend too much time in the kitchen daily. You can order pasture-raised meats as well as autoimmune-friendly meals online to be delivered to your door. If you are traveling, you can pack foods to take with you on the plane. Make sure your accommodation has a small refrigerator and/or kitchenette to help you to prepare your own meals or snacks. The autoimmune protocol should not be looked at as a way of life. It should be looked at as an integrative therapy that can help you to alleviate a lot of the symptoms of an autoimmune disease. Typically, most people can see results with being on the autoimmune protocol for 30 to 90 days. After this, they can begin to re-introduce foods like ghee and green beans in the beginning stages and butter, nuts, and black beans at later stages. There is a procedure to adding back or reintroducing foods. Although this should be supervised by a nutrition therapist well-versed in the autoimmune protocol, it is typically wise to add a small amount of an individual food back into the diet with three to seven days in between each reintroduction. If any symptoms or adverse reactions are noted, the food should continue to be avoided and reintroduced at a later date. 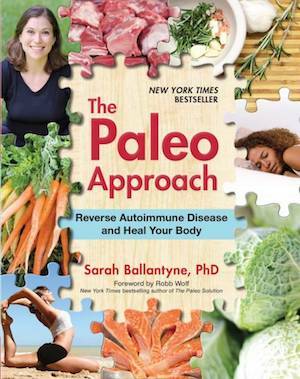 To learn more about the autoimmune protocol the best book on the subject is The Paleo Approach by Dr. Sarah Ballantyne. It goes over all the science behind the autoimmune paleo diet and the research supporting it. It details the ins and outs of the diet and how to reintroduce foods after the initial 30 day diet. 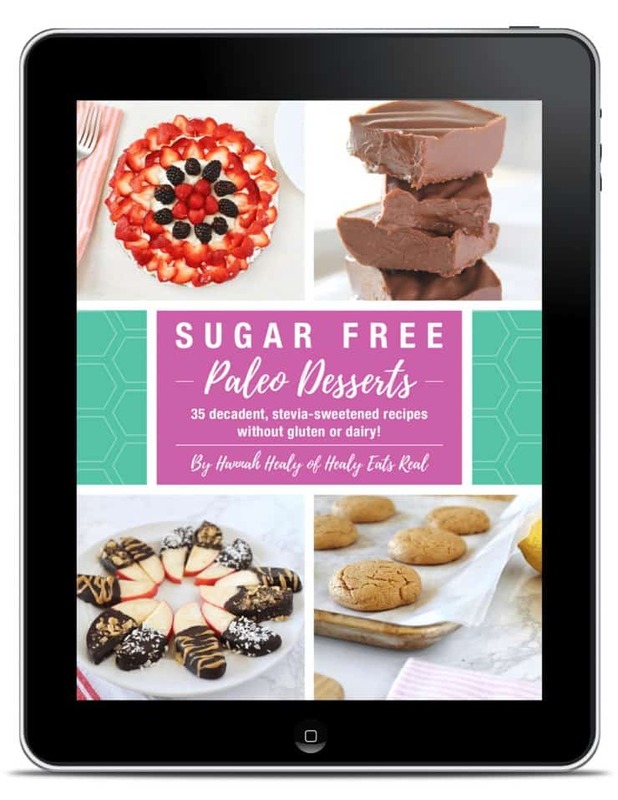 There is also an AIP recipe book called The Paleo Approach Cookbook with meals, snacks, desserts and more. Groven, Shauna, Crystal Sanchez, Susan Levy, James D. Lewis, Diamant Caroline, Emily Singh, Anita C. Chandrasekaran, Ali A. Torkamani, and Gauree G. Konijeti. “Rapid Improvement in Symptoms and Quality of Life among Patients with Inflammatory Bowel Disease following an Autoimmune Protocol Diet.” Gastroenterology152, no. 5 (2017): S410. Very interesting. I knew nightshade veggies were on the list to avoid, but this does a good job of explaining why. Interesting! I’ve never seen it all spelled out this way. It looks like a healthy alternative to a lot of diet fads. I’ve heard of the AIP diet, along with many others that help certain conditions. I’m thankful I don’t have any of the health issues that restrict my diet (I do however eat mostly plant based by choice and feel great), but it’s always important to be aware of foods that may cause issues. Overall, I totally believe that all the fad diets out there need to be taken with a grain of salt because we are all different and different foods affect us all in different ways! Thanks for all the info! A difficult problem , but the right food does help one live better even with auto immune disease. I never heard of this diet before. But your detailed post has made things very clear to me. Thanks. Such a great resource for everything you need to know about AIP! I felt great when I used to follow it. I am still following to some degree but have included some grains in my diet again. Thanks for the helpful information!